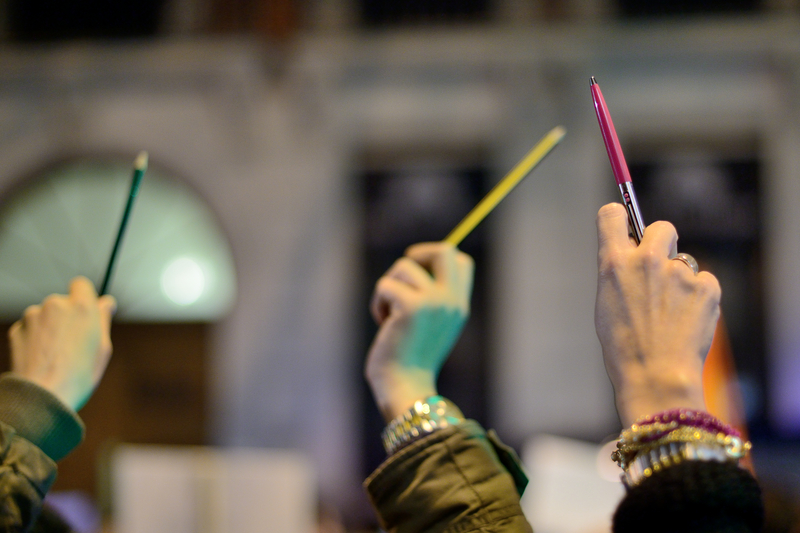 Protesters in Madrid hold pens aloft in solidarity with the victims of the Charlie Hebdo attack. By Adolfo Lujan. On November 7th, 1938, Herschel Grynszpan shot and killed German diplomat Ernst vom Rath in Paris at the German embassy. Grynszpan was Jewish. He was born in Germany but his family had immigrated to Poland, then France, in an attempt to find refuge from increasing discrimination against Jews sweeping through Europe at the time. Grynszpan’s actions were used as the pretext for the Nazi-organized Kristallnacht in Germany and Austria. We rightly tend to think of Kristallnacht as the main response to vom Rath’s murder. However, less well-known is the numerous demonstrations and attacks against foreign Jews that followed in France. In Paris, Dijon, St. Etienne, Nancy, and Alsace-Lorraine, French men and women took to the streets in anger towards the Jews in their midst ‒ anger especially triggered by one Jewish immigrant who shot and killed a man seen as simply doing his job. Last week, two Muslim brothers walked into the offices of Charlie Hebdo in Paris and murdered 10 journalists and two police officers, supposedly for their blasphemous caricatures of the prophet Mohammed. Most French civilians demonstrated peacefully in response, claiming Je Suis Charlie/I am Charlie as they flooded the arrondissements in and near where the attacks took place, pens in hand as a form of symbolic solidarity with those killed. However, some French reacted violently, targeting mosques with grenades and gunfire, a kebab shop near another mosque, and a prayer hall. While driving their car, one French Muslim family was splayed with bullets; they managed to escape unharmed. These acts represent but a mere continuation of rising Islamaphobia in France: in 2013, the Collective Against Islamaphobia (CCIF) recorded 691 Islamaphobic acts, an increase of 47% compared to 2012. Numbers for 2014 are not out yet, but a significant decline would be shocking. 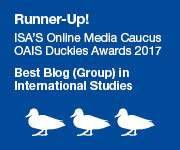 It is impossible to draw a straight line between Herschel Grynszpan’s anger towards Germany in 1938 ‒ the country that made it impossible for him to live as a Jew without fear of persecution, forcing his family to flee to Poland, where things were equally as bad, and then to France, where they were beginning to look no better ‒ and the murderous actions of Saïd and Chérif Kouachi. At the same time, we can see parallels in the reactions of the far right who seek to build on the fears of a growing number of French that consider themselves “real French” in contrast to the supposedly unassimilable Jews and Muslims in their midst, then and now. Not only do this week’s reactions have a historical precedent but they also fit with the findings of a vast amount of research on what explains prejudice and discrimination. One key finding from a significant body of scholarship is that prejudice is related to the threat that a majority group feels towards a minority group, especially if they think the minority group is increasing in size and thus impinging on what the majority feels is rightly theirs (see here, and here for useful reviews in sociology and political science; here and here for literature specific to Europe). Obviously, what any majority claims to “own” depends on the context, but more often than not, researchers have found that it boils down to two things: material goods (money) and cultural goods (values). France today has the largest Muslim population in Western Europe. The most visible segment has its roots in North Africa: Algeria, Morocco, and Tunisia, though a large majority comes from French-speaking sub-Saharan Africa, as well. Many are secular and speak French as a first language; some have been in France for generations and do not even speak with a non-French accent. Like the Jewish immigrants before them, these Muslims came to France as laborers and also to escape conflicts back at home. Also like the Jewish immigrants before them, Muslims in France are trying to make a living in a time of economic and political crisis. Shortly after the flood of Jewish immigration in the late 1920s and early 1930s, the Great Depression struck France, leading to a crise économique matched only by the mass unemployment that France is experiencing as a result of the Great Recession today. In France, youth unemployment is currently above 24% (and French Muslims are more likely to be unemployed than the rest of the population). French protestors in the 1930s blamed Jews for their supposed capitalistic tendencies, for stealing jobs, for forcing French civilians out of the economy. Today, Muslims are stereotyped in France as stealing jobs and welfare, living off state benefits, and bringing down the country’s economy. French citizens who consider Muslims not really French see them as threatening to their material goods; as scapegoats for the country’s current economic woes. 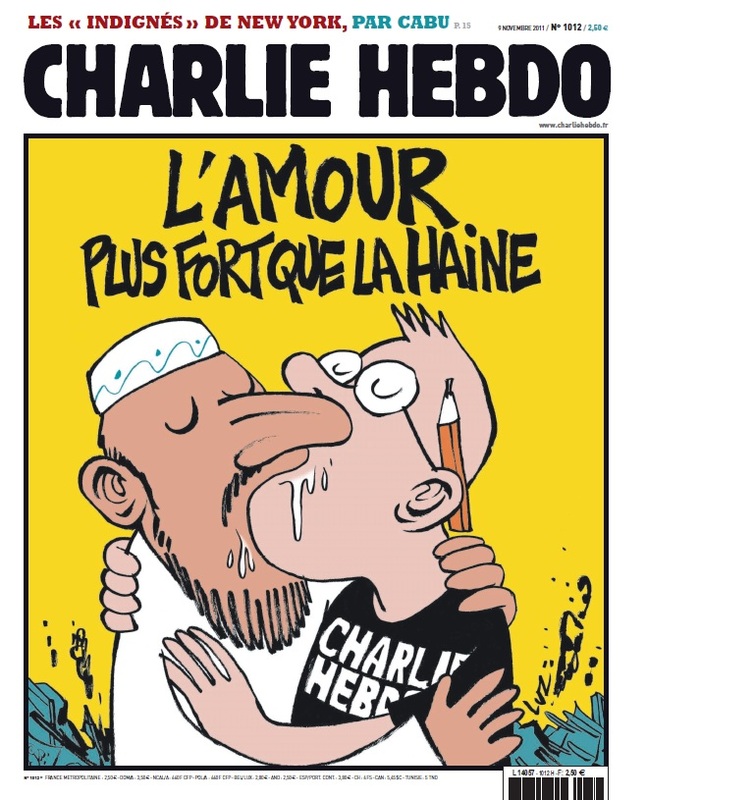 Likewise, on the day the Houachi brothers committed their crime, the cover of Charlie Hebdo was a cartoon mocking Michel Houellebecq, author of the forthcoming book, Le Soumission (The Submission). Houellebecq’s Soumission envisions a future France under the control of a Muslim political party in the year 2022. Women are forced to wear veils and children are required to learn from an Islamic curriculum. Everyone must convert to Islam or risk losing their jobs. Le Soumission is satire, but satire that plays on many French fears of a Muslim takeover only exacerbated by the recent violence. Many see the current events in France as likely to lead to more support for the Front National (FN), a nationalist, conservative party run by Marine Le Pen that espouses an extreme anti-immigration, anti-Islam agenda. Under its founder (Le Pen’s father), the FN was openly anti-Semitic until it became socially unacceptable, at which point the Muslim migrant became the new racialized “other” targeted by far-right political parties. And social trends notwithstanding, to imagine that past anti-Semitism in France is dead is naive. In addition to the 691 Islamaphobic acts in 2013 mentioned above, there were 423 anti-Semitic incidents in France the same year (a 31 percent decrease from 2012), thus marking France as a world-leader in violent anti-Semitism. The attack on a kosher supermarket in Paris the day after the Charlie Hebdo shootings is not at all shocking to anyone who follows the news. Those who fear others cast a dangerously wide net. With reference to the recent rise of the FN, Patrick Lozès, president of the Council Representing the Associations of the Black People of France (CRAN), proclaimed: “This appeared in the 1920s and 1930s. Those who a few decades ago saw the Jews as the enemy now use Muslims, saying, ‘They are among us, but they will never be like us, will never share our values.’” It is likewise wrong to equate the Houachi brothers with all of Islam as it was once wrong to perceive Herschel Grynszpan’s murder of a German diplomat as reason to suspect all Jews. 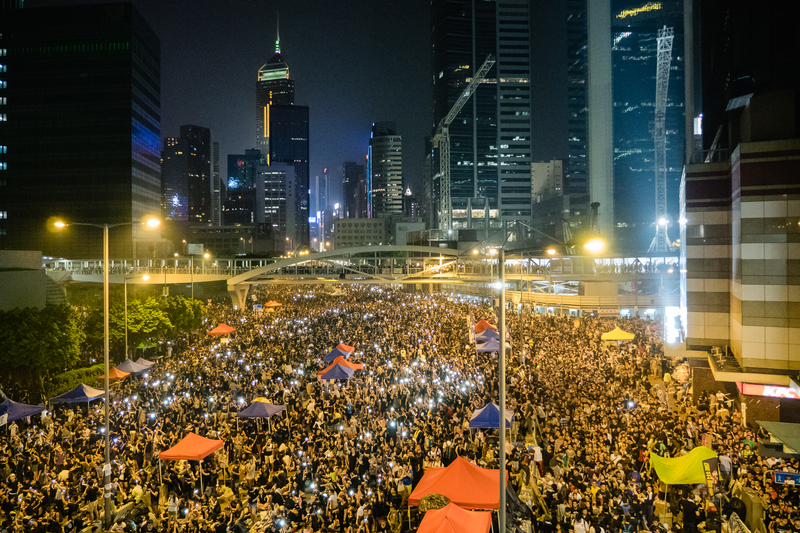 Political violence often leads to political opportunities, especially for extremists seeking to recruit followers and promote their agendas. The time to bind together ‒ Jews, Muslims, and other ‒ is now. Whether terrorists or politicians, let’s not give extremists what they want. Aliza Luft is a PhD Candidate in Sociology at the University of Wisconsin-Madison. Her research examines how people make decisions to support or resist genocidal regimes. I am grateful to Jacqueline Feldman, Jared McBride, and Terrence Petersen for their feedback on a previous draft of this post. Any remaining errors are my own. As cited in Jacques Bonhomme, “La France Libre; Lettre ouverte à M. le Grand Rabbin de France,” in Alliance Israélite Universelle, Archives, Paris (AIU), Ms 650, Boîte 15 (51). At time of writing, the identity of the third terrorist involved in the attacks remains unknown. Hamyd Mourad, brother-in-law of the Hebdo attackers, was released without charge after being cleared of any involvement in the shooting. Thank you Aliza! This is a very important post. I think it is really time that people start broadening the slogan “never again” and consider where we may be headed after this act. It is terrifying and I appreciate you capturing these disconcerting parallels so eloquently! I’m really not sure what you mean when you say, “The attack on a kosher supermarket in Paris the day after the Charlie Hebdo shootings is not at all shocking to anyone who follows the news. Those who fear others cast a dangerously wide net,” especially as it is the concluding statement of your discussion of the French far-right. While the rise of the far-right in France and elsewhere in Europe is always a concern to Jewish communities, it has been clear for years that the increasing number of attacks on Jews in France, and the rise of antisemitic rhetoric there (quenelle, anyone?) come almost entirely from France’s Muslim community. It is an antisemitism of the disadvantaged and the disenfranchised, to be sure, but to imply, as you do, that it emanates from the same body politic that keeps France’s Muslims disadvantaged and disenfranchised is profoundly misleading. To speak frankly, to blame the Islamophobic far right for the thuggish behavior of people who are themselves targeted by that Islamophobia smacks of the sort of apologia that, by willfully failing to see the problem as it actually exists, can in the end only contribute to making it worse. Maybe this species of political violence deserves to be given a little more thought than can be applied to it at a glance. The links to the Annual Reviews pages do not work (they direct to a UW-Madison page that does not show me the article). Could you fix it please? I dont think the analogy, or even just parallels, in this article are particularly relevant. I dont mean that snarkily, but what use is there in drawing comparsions between the greatest monstrosity in modern history, and a criminal act of mass murder ? This hyperbole buys into the far right and Islamic radicals narrative, and is dangerous. And wrong headed. We have not seen oubreaks of mass communal violence in Western countries since 9/11 (and there have been more shocking atrocities than this committed) People with specific agendas trying to stir trouble does not warrant a comparion to 1938. And I dont mean that disrespectfuly towards the author. It’s an interesting article on the specifics (and was informative) But I think these comparisons need to stop. Last thing ill say on this. Reading back on my comment the tone does seem a little hostile, or ar least short. Part of that’s my writing style, the other is I was rushing. I’m sorry if it came across that way. Anyway…..I might be back later to correct this comment. Watch this space. Thank you for your feedback. In the post above, I aim to present a comparison between France in 1938 and present, not between Nazi Germany in 1938 and present, and also to explain that how Jews were thought of then, in France, mirrors a lot of the current sentiment also in France towards Muslims. You are right that the context of impending war makes a big difference and at the time, one of the most popular epithets hurled towards Jews by non-Jewish French is that the immigrants flooding their country were “driving them into a war [they] did not want.” Still, we must not forget that in 1938, French civilians did not have the hindsight of the Holocaust that we do now. It is hard to put ourselves in the mindset of France back then, where a Jewish immigrant shot and killed a German diplomat in the streets of Paris, triggering mass protests and violence against Jews. Yet this is what I aim to do (in this post and my own research, as one project of mine focuses on the Holocaust in France). In 1938, France was still a democracy. Authoritarian political parties (and what would eventually become the Vichy regime, which frequently blamed Jews for the downfall or France) were gaining steam. The parallel I aim to emphasize in my post is how people often turn inwards under perceptions of threat and insecurity; something we saw then, and something we see the threat of now. Again, I very much appreciate your reply. The points are well-taken, and I thank you for your response. Ceobanu, Alin M. and Xavier Escandell (2010). “Comparative Analyses of Public Attitudes Toward Immigrants and Immigration Using Multinational Survey Data: A Review of Theories and Research.” Annual Review of Sociology. Vol. 36: 309-328. Hainmueller, Jens and Daniel J. Hopkins (2014). “Public Attitudes Toward Immigration.” Annual Review of Political Science. Vol. 17: 225-249. Thanks for the reply Aliza. Yeah, on second reading it occured to me that your point was more subtle. I’ll keep an eye outfor your research, looks interesting ! Please forgive my delayed reply. I just saw your comments now for some reason. Like with Ronan above, your points are well-taken and I appreciate your response. I mostly agree with your comments concerning anti-Semitism in France right now. You are, of course, correct to say the rise in rhetoric stems largely from France’s Muslim community, but there is also a lot of anti-Semitism among non-Muslim French on the far-right, especially towards Jews who they see as controlling the economy, owning business, etc. Furthermore, the fight over the memory and understanding of the Holocaust is alive and well in contemporary France. At the top of the current bestseller list is a book by French journalist and historian Eric Zemmour, “The Suicide of France,” which claims the collaborationist Vichy government tried to save French Jews in the face of German demands. When Jewish community leaders were asked in 2014 as to the source of the rise in anti-Semitism in France, their response was “classic scapegoating amid hard economic times, the growing strength of far-right nationalists, a deteriorating relationship between black Europeans and Jews, and, importantly, increasing tensions with Europe’s surging Muslim population.” So in short, what I am trying to say is that anti-Semitism from France’s Muslim community is certainly a problem, but it is only part of the problem, and it is the part that tends to receive the majority of attention, especially after this past year’s Israel-Gaza war. My post focuses specifically on reactions to terrorism on the far-right, then and now, which remains, unfortunately, also a problem in France as with elsewhere in Europe (see the Jobbik party in Hungary, for example). This does not negate the fact that much anti-Semitism comes from the Muslim population in France, who are disadvantaged and disenfranchised in profound ways — an important distinction, as you correctly note. I agree 100% with you that one blog post (one “glance”) is insufficient to discuss the nuances of anti-Semitism in France today. Reblogged this on Uzbekistan on political map today.